I have quite a fun subscription to show you today! This subscription is called Recipe Table and it brings you recipes from different home cooks. Each month the recipes are based on a different theme as well! This is a great way to build your recipe collection to pass along to your family. I hope you enjoy! Each month, Recipe Table delivers to your home ten unique recipes – and future memories – tastefully displayed on easily-stored (4×6 cards). These recipes are tried and true, handpicked from home kitchens all over America. 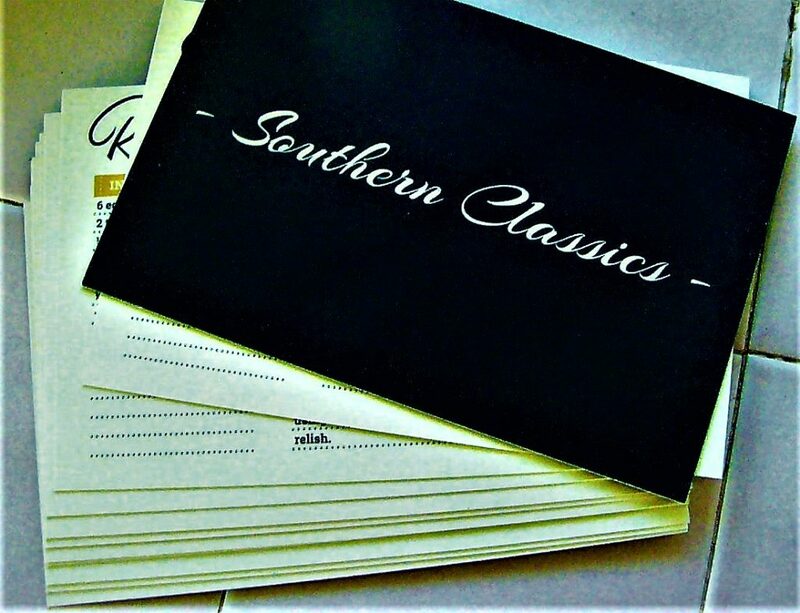 Each collection is built around a theme, from comfy southern cuisine with decades of family heritage, to authentic Italian meals that carry you to the kitchens of Naples and Rome. Review, try and adapt each recipe to your family’s tastes. You will soon have dozens of new family favorites. Keep them in any small kitchen file box, and in no time you will have a treasure chest of favorite meals and fond memories – a real heirloom! And say goodbye to tiresome web searching. No more printing and storing those letter-sized pages! 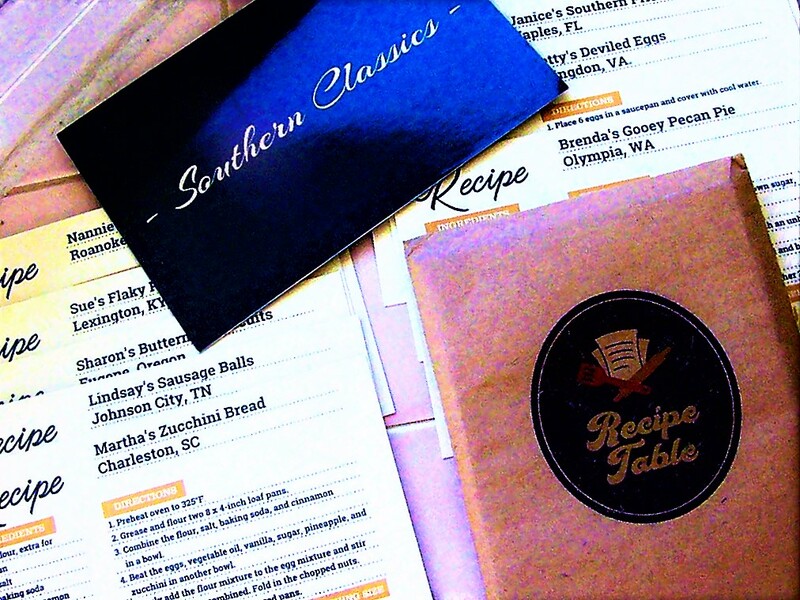 I couldn’t wait to review Recipe Table because I love collecting family recipes! This service is so unique because it sends you recipe cards based on a certain theme from various home cooks. Southern food is also one of my favorite kinds of food, so I was excited when I found out that Southern food was the theme! 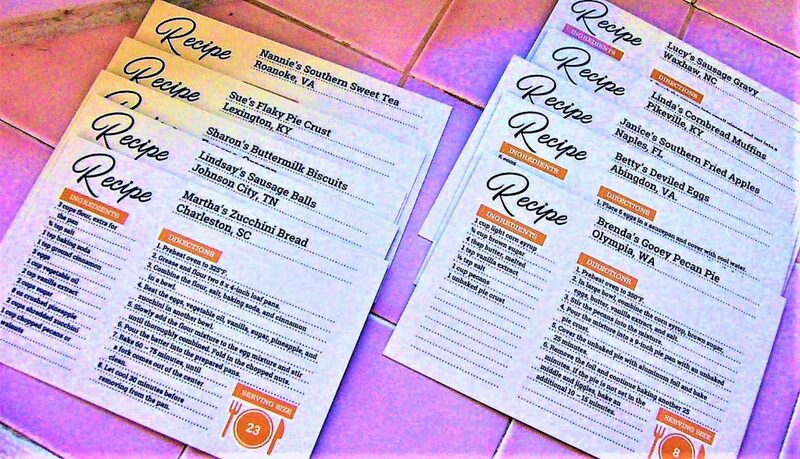 The recipes come on quality cardstock that is shiny and can outlast many cooking sessions. I love how the cards have a single design so that they all correlate! Each recipe also has the name of the cook and their location. This shipment came with recipes that cover various different meals, and I loved each recipe included! The sweet tea and fried apples were some of my favorites to cook. Final Thought: I love how Recipe Table brings great home recipes to your door in a way where they can be savored for years to come! This is a great way to build your recipe book and try out new cooking skills. There is a great family feel the box, and I love the community that surrounds this subscription. If you love to cook, then Recipe Table is a must!